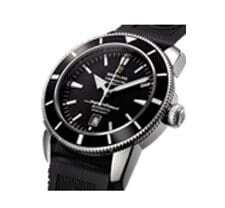 "Jeff - This is to let you know I received my 80's Breitling watch back from you as you promised in "as new" condition. The broken part was fixed and the watch looks, and works as good as the day I purchased it. Your service is "top shelf" and I will definitely send my watches to you again in the future should they need servicing or repair. Also, I won't hesitate to recommend you to my friends and family. Thanks again for the excellent work. Best regards"